A solid foundation is the key to a successful project, both on the site and within a company. 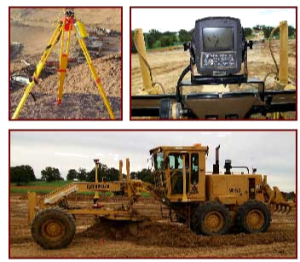 Since 1991 Tri Dal, LLC’s affiliate Tri Dal Excavation, Ltd. has managed the entire earthwork estimating, budgeting and project management in-house, allowing us to oversee your project from the preliminary stages through its completion. Our experienced excavation superintendents manage production in the field to ensure that schedules are on track and our customers are informed of project status. The team’s Caterpillar motorgraders, Komatsu dozers, Caterpillar scrapers, trackhoes, and loaders are ready to move on your project for excavation services, building pad and site preparation, demolition, lime stabilization and fine grading services. Tri Dal Excavation’s experienced personnel and well-maintained excavation and grading equipment, combined with an astute attention to the needs of our customers, adds value to the excavation and grading projects we undertake. We look forward to meeting our customers’ excavation and grading needs with a deep dedication and “can-do” attitude and spirit.